I wanted to give myself a challenge and step outside of my comfort zone for my next design, mostly focusing on unusual garment construction techniques. Well I certainly got it on this piece! Surprisingly though, I think the greatest challenge came not from the diagonal body but from the mesh section since I was stumped for a good long while on firstly, what pattern would go well with the diagonal stripes and then secondly, what kind of sleeves I wanted. Did I want drop sleeves or something sleeveless? And from that I had to figure out how to write the pattern so that knitters could come to the similar results. 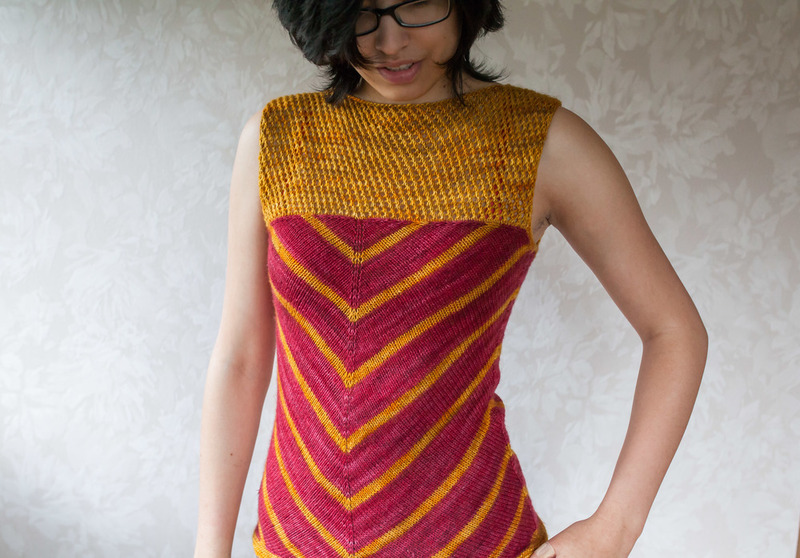 This pattern is more formulaic than a strict "knit x rows until you have y sts on your needle". This is also my first time working with madelinetosh yarn. I used one skein of madelinetosh tosh merino light in the color ways Heartbeat and Dandelion. Such beautiful and vivid colors! They did bleed a lot when I was soaking them, but thankfully only the water turned a bright red and the yarn colors remained unaffected. I have a call for test knitters in my Ravelry forum here. 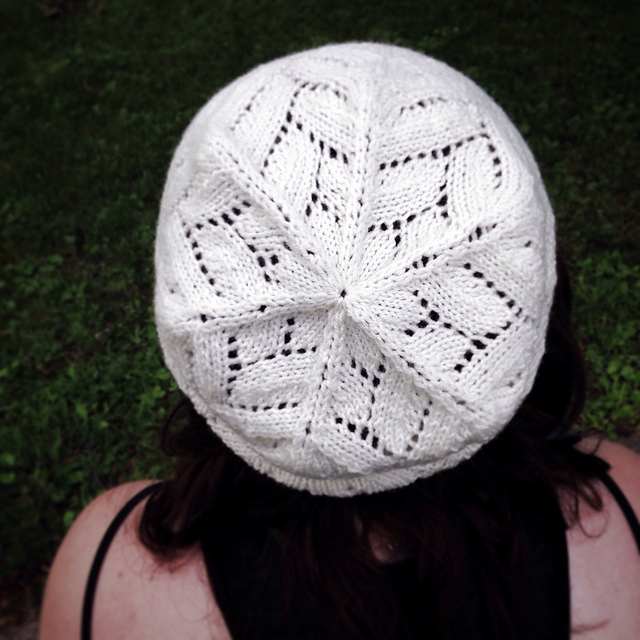 The Huatau Hat pattern is now live and available for purchase! I've been working on making my patterns available elsewhere too: you can now purchase my patterns on my site (under Designs) and on LoveKnitting! This is a lovely lace hat that can be knit up using just one skein of Quince and Co's. Chickadee yarn! 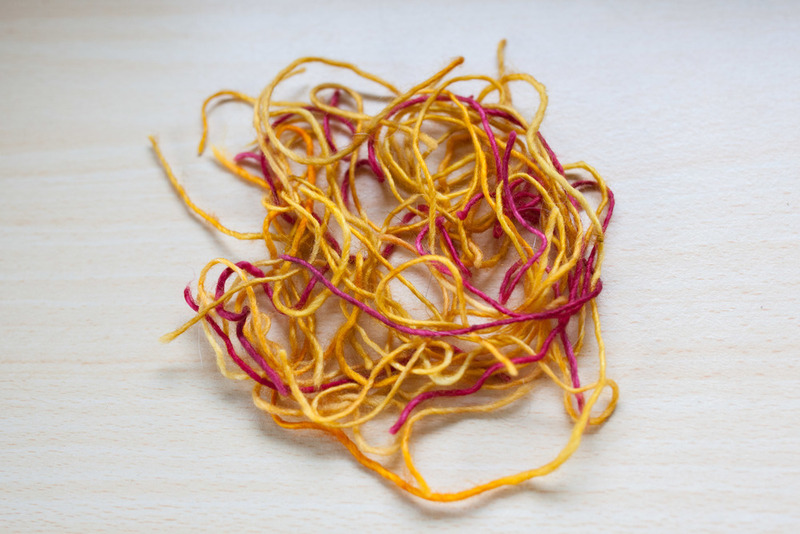 This yarn has wonderful stitch definition and is ridiculously soft to wear! I have to give a big thanks to my test knitters, who did a wonderful job and some even put extra effort into the test knit to make sure that it all checked it. Here are some of the tester's FOs. Wonderful work! Extra special thanks to KnitandKnot Designs for translating the pattern into French. Merci beaucoup! And another thanks to the LYS In the Loop for contributing to the giveaway. They were willing to add two extra skeins of Chickadee into the contest so I was able to choose FOUR winners! Thank you so much! I'm sure the extra winners will be thrilled! Before heading over to the patter page, take a moment to look at some of the tester's FOs! Starting from top left to bottom right: KnitandknotDesign, JessicaJohannesen, KnitFitch and enablerqueen (not pictured yet is HandmadeKoala). 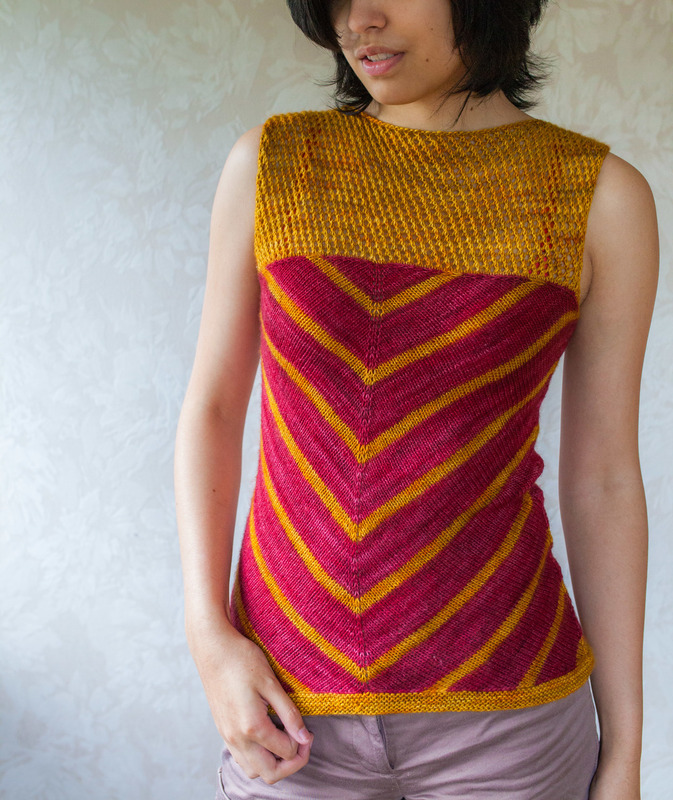 You can purchase the pattern 10% off directly on this site or on Ravelry (use the coupon code HUATAU10) or on LoveKnitting (no discounts there though :-( )!